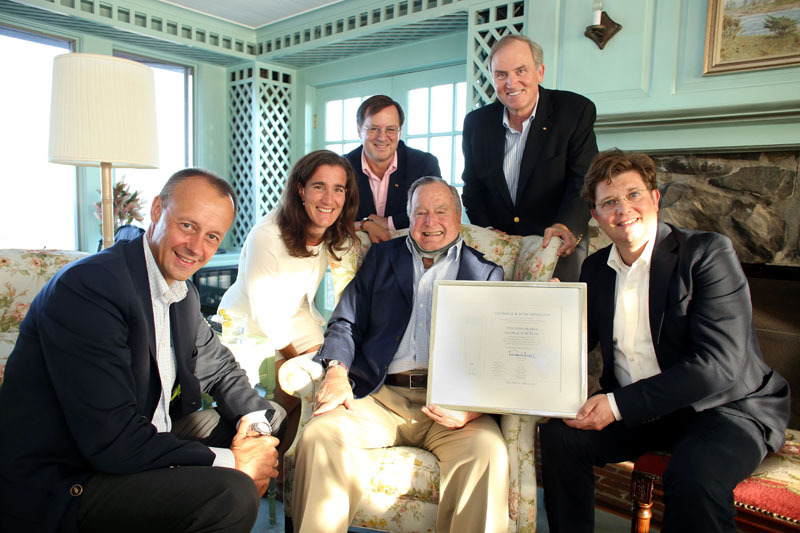 George H. W. Bush receives Award from Atlantik-Bruecke - Atlantik-Brücke e.V. 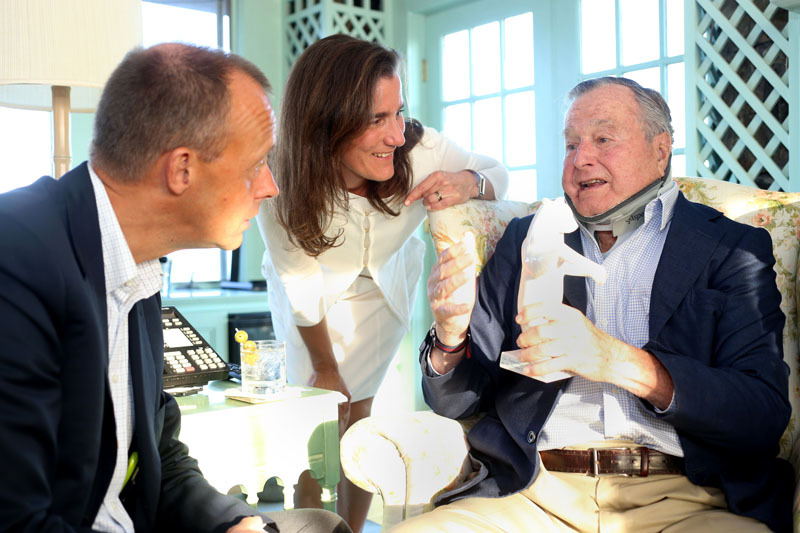 Former U.S. President George H. W. Bush Award was the first recipient of the Atlantik-Bruecke Award he lends his name to. 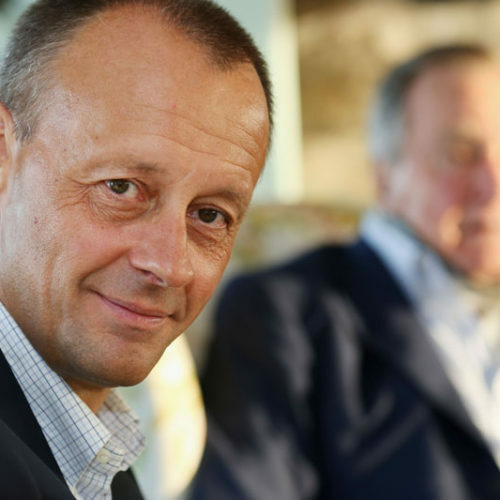 He was honored by Atlantik-Bruecke for his contribution to the German Reunification and the friendship between Germany, Europe, and the United States. 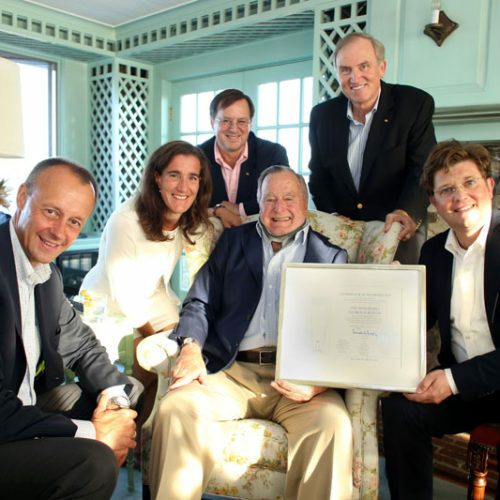 The award ceremony took place in the evening of August 28, 2015 in front of a small audience at the Bush family estate in Kennebunkport, Maine. 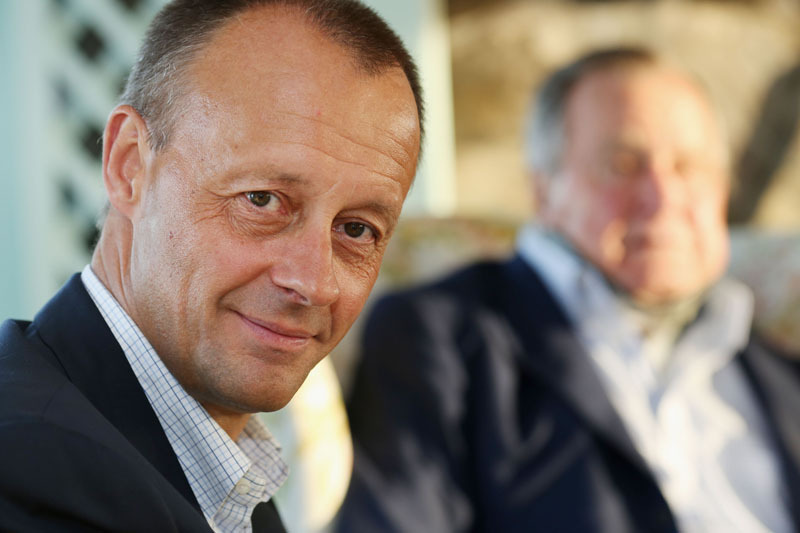 Friedrich Merz, Chairman of the Atlantik-Bruecke, presented the award. 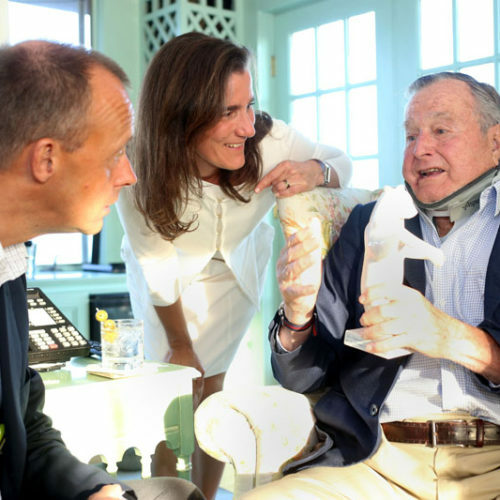 “George Bush has supported Germany in a time of upheaval and has thus paved the way for freedom, peace and democracy in all of Europe. 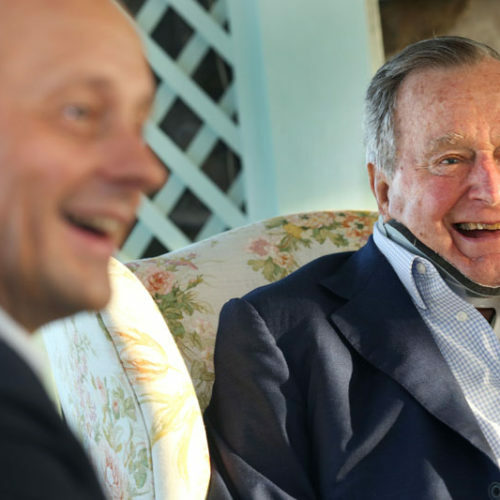 With great personal commitment, he made it clear that the United States consider Germany a friend and a partner”, Merz commented on honoring the former President. 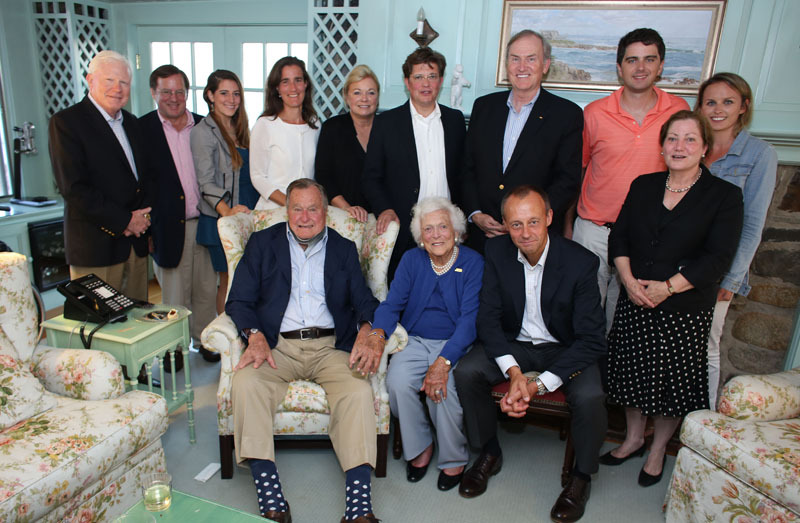 With the George H. W. Bush Award, Atlantik-Brücke honors distinguished individuals for their contribution to German-American relations. George H. W. Bush was the 41st President of the United States from 1989 to 1993. He was Vice President from 1981 to 1989. 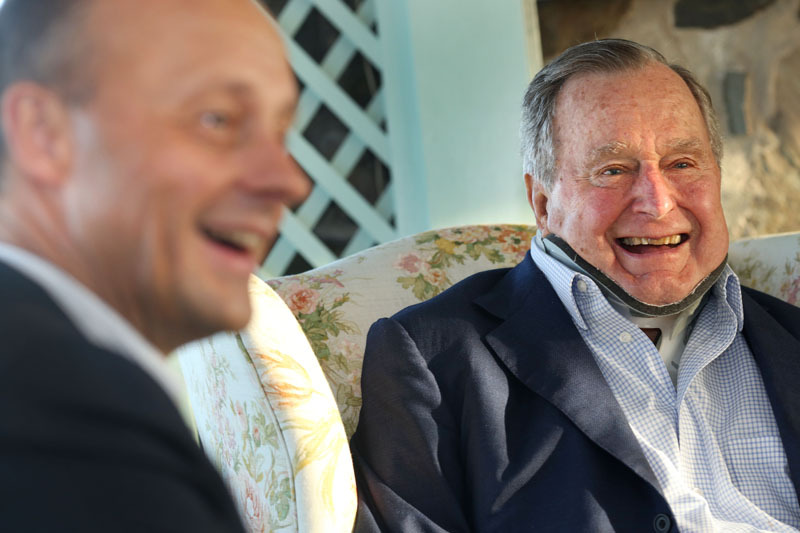 From 1971 to 1973, he served as U.S. Ambassador to the United Nations after having been a member of the United States Congress from 1967 to 1971. From 1976 to 1977, he was the Director of the Central Intelligence Agency. 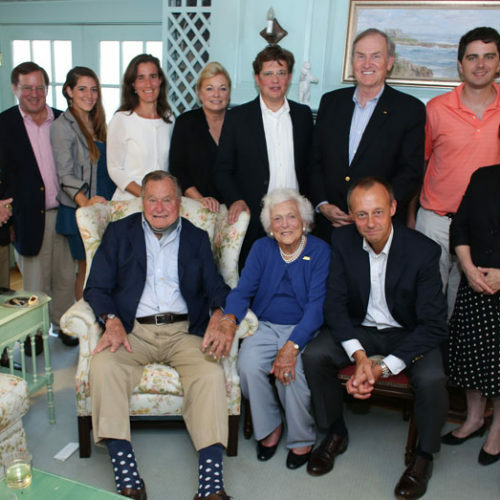 He is the father of George W. Bush, the 43rd President of the United States, and of Jeb Bush, the former Governor of Florida.